But when it comes to security and a corporate environment, there is a security risk. In Windows, you can enable or disable remote desktop depending on your security needs. You can also restrict access to specific user accounts or groups. 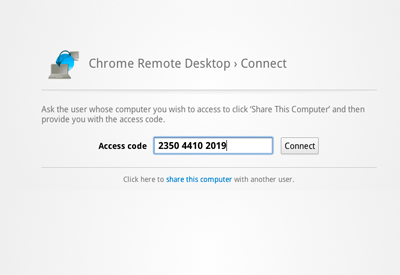 With Chrome's Remote Desktop, anyone on the machine can use it. For security tracking purposes, this could pose as a nightmare! 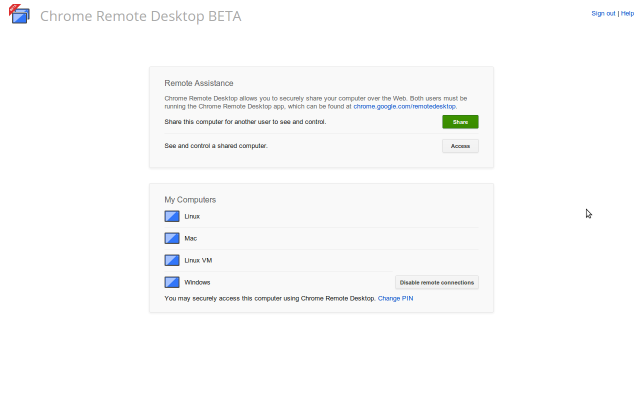 Here's a quick way to disable Chrome Remote Desktop for all of your Chrome users on your domain. Download and install (you should already be using this in a corporate environment) Chrome Policy Templates: http://goo.gl/5XRkk. Next, in Group Policy Editor migrate to Computer Configuration\Policies\Administrative Templates\Google\Chrome\ExtensionInstallBlacklist. Then add any extensions you wish to block.